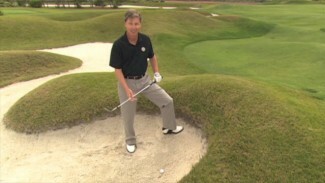 In this video, David Donatucci demonstrates a golf fitness exercise called Lateral Box Jumps. These jumps are another way to create a variety of motion. These types of motions will help you on the course when you’re changing the weight of your body from one side to the other when swinging. The power from your hips, legs and core will transfer energy to the clubhead at impact creating faster ball speed and more distance. 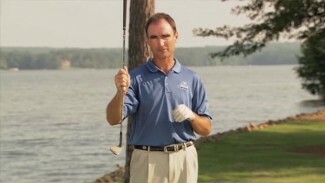 In this video you’ll learn the hinge and pop speciality shot. 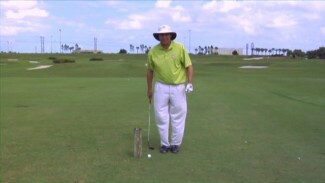 PGA Professional Rafael Floriana shows you what to do for those times you are up against an obstacle. 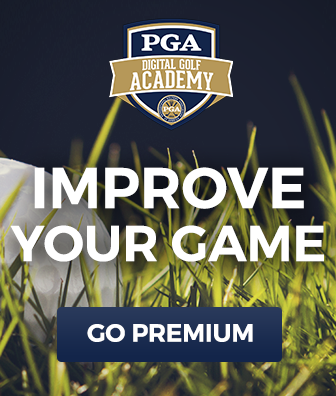 Typically, you would not be able to swing the club in this position, but with the hing and pop shot you are able to advance the ball and make the most of a tough situation. Learn how to get out of a bad situation with this handy shot!